Sorry !..This Email not Presenting in our List.Please Register a New User. Success!.. Please check your mail ..we send a password to your mail . Success!..Thank You For Registering with us. Information Receipt Status: Successful!.. . Signup Status: Pending Activation through Phone. Congratulation for taking the first step in the Sign up Process. In order to ensure that we solve your needs in the right way, we will reach you by phone in : ERR or in cell phone .ERR that you provided to complete the second phase of the registration process. 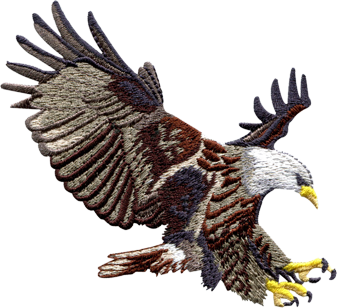 3N Designs is a renowned embroidery digitizing and patch manufacturer. With over 1800 sign ups and about 1500 active customers, quality and service is a proof by itself. We value your customers and their opinions; and delivering outstanding quality to your customers is our primary goal too. With over 27 years of experience and the most qualified personnel, we guarantee that your machine will run smoother even on the most intricate designs. We have dedicated embroidery machines for sewing out every single design, ensuring an outstanding quality on your machines. Let us join hands and create mesmerizing embroideries for your customers. Fast turn around, with track record of doing RUSH orders within the hour. * Round the clock live service, day or night. * Superior sew out quality. * Personalization and Tuning for your equipment and preferences. * Prompt, friendly and professional service. * 24/7 accessible secure backup storage of your digitized designs. 3n Designs is constantly testing innovative ways to embroider using special effect embroidery. Watch this website for the newest in custom embroidery digitizing.